In a large punch bowl, combine cranberry juice, ReaLemon and sugar; stir until sugar dissolves. Just before serving, add orange soda and ice. 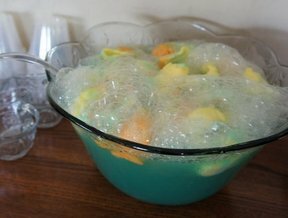 If you would like you can garnish the punch with orange slices.